The sun is finally out, the back doors are flung wide open and it’s time to dust off and light up the barbeque, ready to spend an afternoon trying to stop the baby bum-shuffling into the hot coals and listening to the Other Half swearing in confusion at his raw meat/cooked meat utensils. Yay, summer fun! Now, I love a sausage as well as the next girl but you can get a bit ‘meated out’ at barbeques sometimes and, as for veggies, there’s surely only so many slabs of burnt halloumi they can face. So I pondered the cheese options for a while and below, for your delectation and delight, bring you some fromage-for-the-flames. I have a bit of a funny thing about beefburgers and I’m probably the only carnivore in Western Europe never to have eaten an entire McDonald’s burger in my life. But given that I’m perfectly partial to minced beef, I thought I should give it another shot. 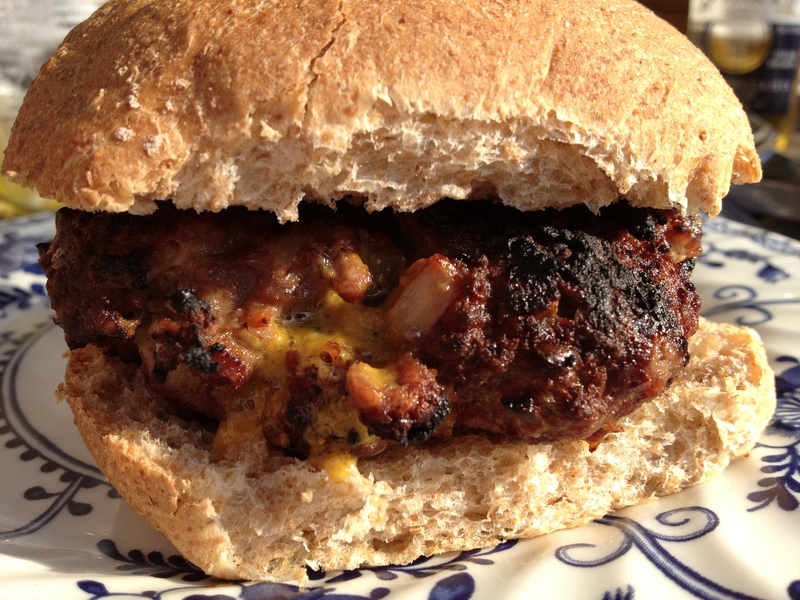 I have a lovely big slab of Colston Bassett Shropshire Blue in the fridge and so decided to make a cheeseburger with a difference. How splendid-looking is this cheese? 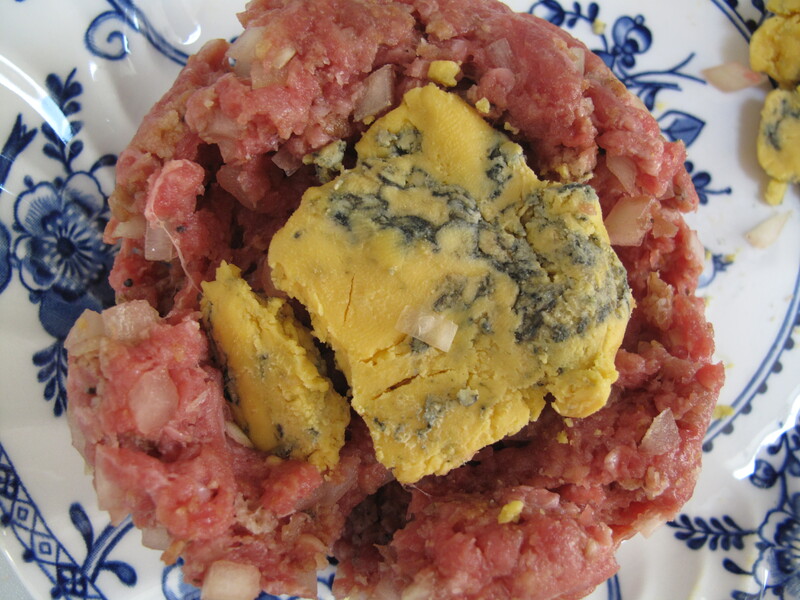 Rather than add a slab to the cooked burger, the cheese is tucked into the middle of the raw burger, so that when it’s cooked, all the rich flavour of the cheese melts through the meat. Combine all the ingredients in a bowl, except for the cheese, and mix well. Divide the cheese into four pieces, roll the pieces into balls and then flatten into thin discs. Form the meat mixture into four burger shapes and then make a hole in the centre of each one, pushing a cheese disc in and sealing it all around with meat. Chill in the fridge for 30 minutes and then grill on the barbeque for 10-15 minutes or until they’re cooked through. Serve in a burger and watch out for the oozings of hot cheese that will emerge when you bite into it. I am a burger convert! 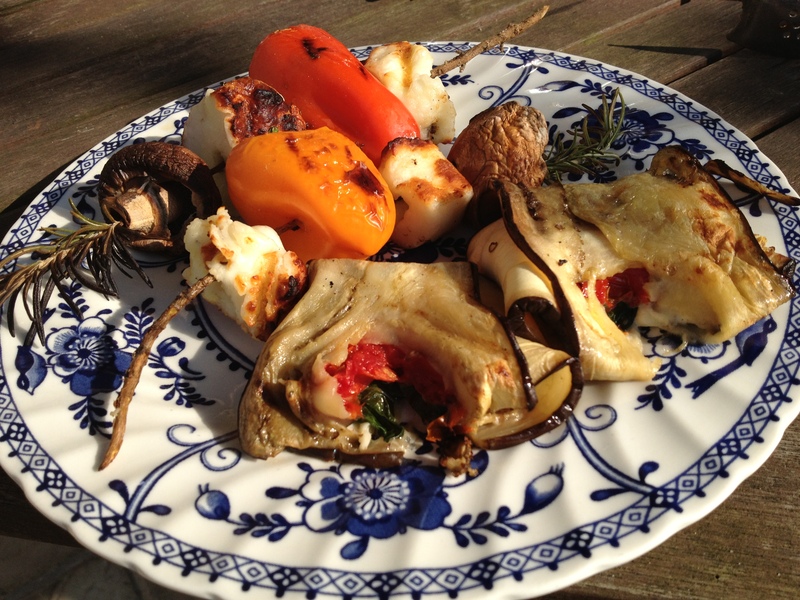 There’s no getting around it, halloumi is a great barbeque cheese and perfect for kebabs. 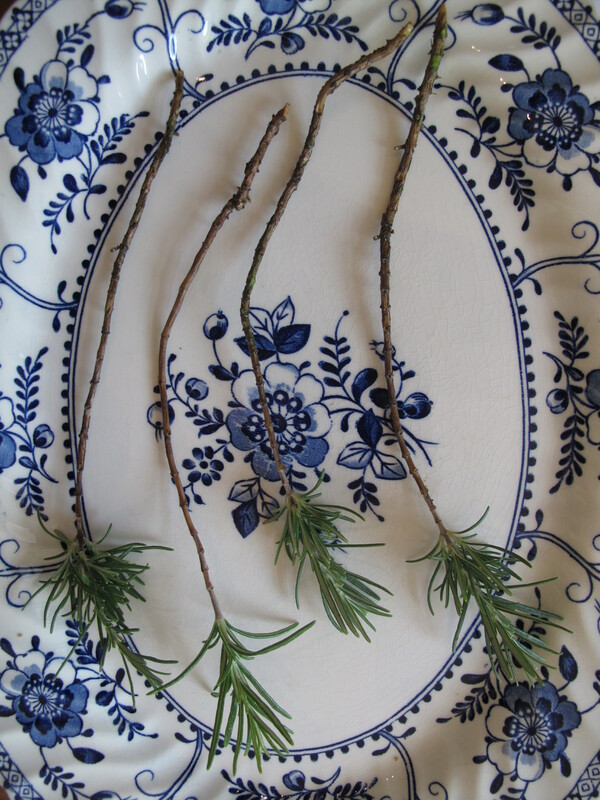 For skewers with a flavour all of their own take long woody stems of fresh rosemary and remove all the leaves apart from a palm tree frilly bit at the top (save the leaves and use them with oil to baste chicken or lamb). Soak the stems in water for half an hour and then thread on chunks of halloumi and vegetables of your choice; I used mushrooms and peppers but onion quarters, cherry tomatoes or fennel would work too. 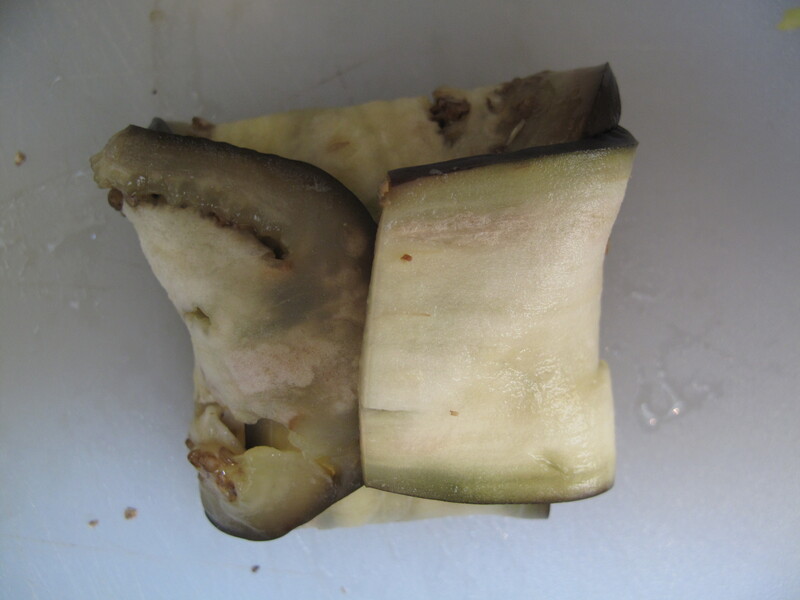 Use a sharp skewer or similar to make a hole in the cheese or vegetable first. 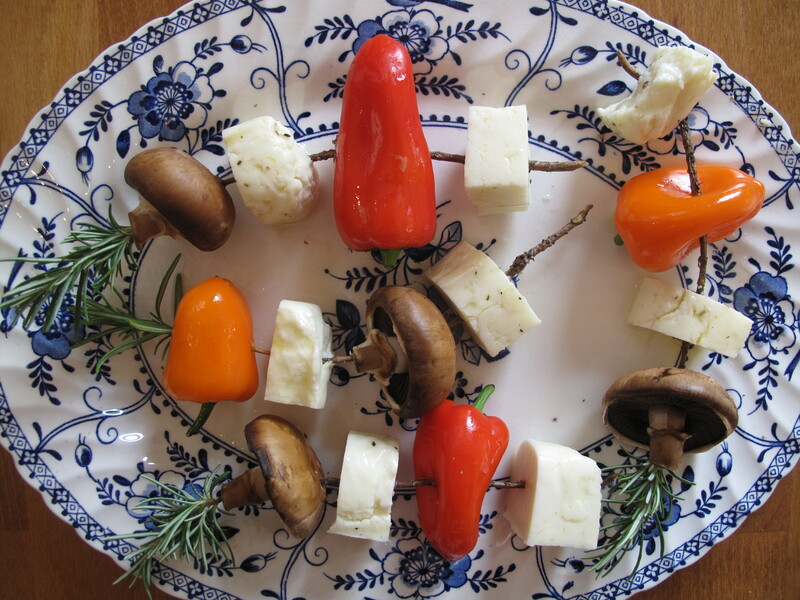 Brush with olive oil and then grill on the barbeque, turning every couple of minutes, until the cheese has browned and the vegetables softened. Mozzarella is another great grilling cheese but not one you can slap straight on to the grill. These parcels ensure melty cheesy happiness without needing to spend an hour scraping burnt cheese off the barbeque. 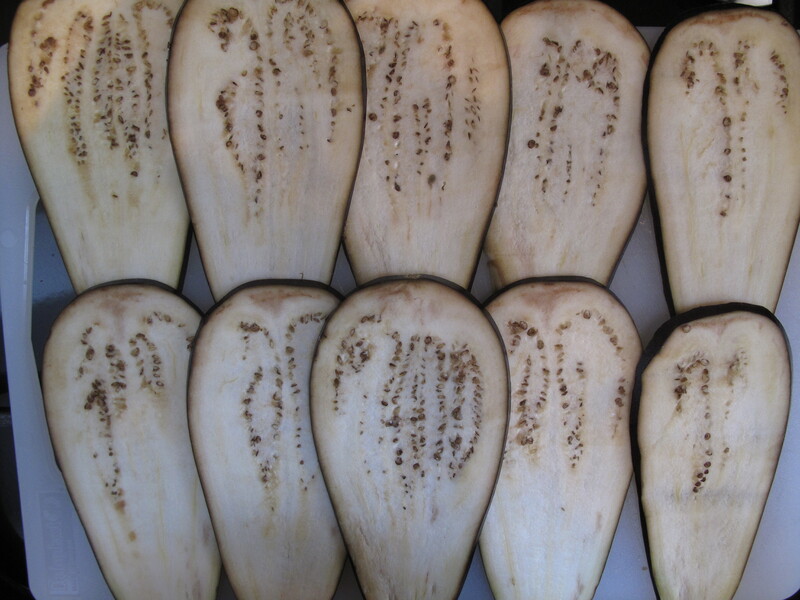 Brush with olive oil and grill for about five minutes, turning once during cooking. Now quick, get to it, before the sun goes in! I’m adding this post to the Four Season’s Food Challenge whose theme this month is Barbeque Dishes and Sides. 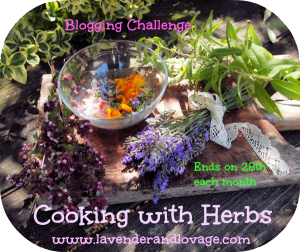 Because I’ve used rosemary, I’m also adding this post to the Cooking with Herbs challenge, hosted by Lavender and Lovage. Thanks! It certainly is a lovely cheese, especially the Colston Bassett one, which is my new fave. 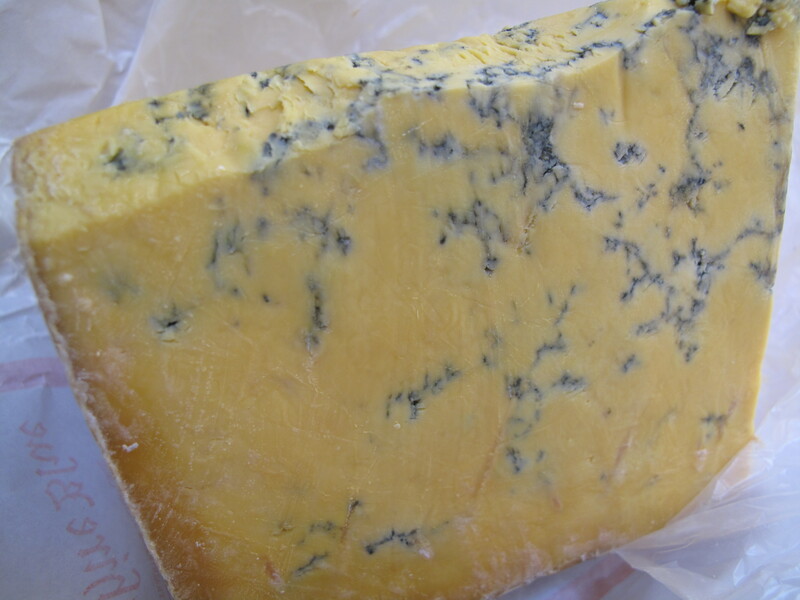 I adore blue cheese. I haven’t tried the Shropshire variety but I think I’ll have to track it down over here (in Australia). Sounds wonderful! Wish that I could attend your barbecue. I am drooling over these photos! Oh I wish I lived in a Chateau!!!! Hardly. Besides I’m on the move in a few weeks back to the less sunny climes of rural Herefordshire!